End of life decisions for pets are understandably difficult and filled with emotions. 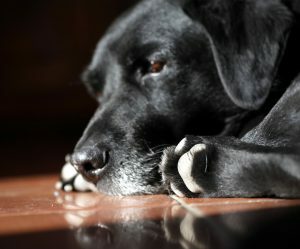 For owners with pets who are experiencing the effects of chronic diseases or the slow progression of complications from aging, it may seem difficult to know when the time for euthanasia has come. Understanding where your dog or cat is on a quality of life scale can help in putting things into perspective. Additionally, physical examinations and quality of life discussions with our veterinarians can be essential in navigating end of life decisions. For pet owners who have made the compassionate decision to pursue humane euthanasia, we have created an overview of the process to help you feel more prepared about what to expect. We feel it is important for you to understand that we have all been in your shoes at some time or another. We will treat you and your pet with dignity and respect. Our team will work together to make your pet as comfortable as possible. Prior to administering the euthanasia, we will provide your pet with sedation that will make them calm and relaxed. When your family feels ready and we administer the euthanasia, it will seem like your pet is going to sleep. The medication works quickly, and it should not cause your pet to suffer. Pet owners choose to remember their companions in different ways. Cremation (with or without ashes returned) is an option available to all pet owners. Urn choices are also available. If a paw print is something that would help comfort you, please be sure to let us know. Additionally, if there is anything else we can do in order to help you during this difficult time, please do not hesitate to ask. It is important to allow yourself to grieve the loss of your pet. We encourage you to explore resources that may help you and your family during this time.